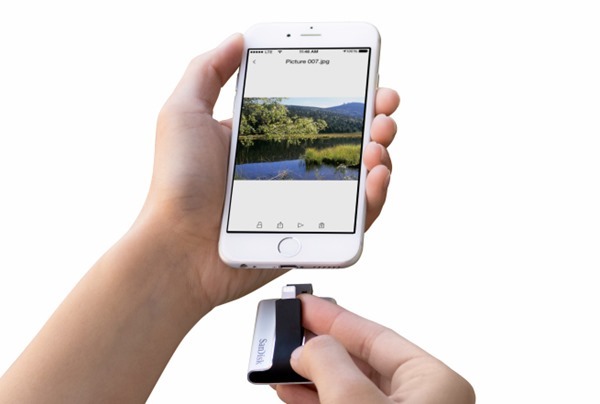 Definitely a new and rising thing for iOS devices – the SanDisk iXpand USB flash drive is not the only one to hit the market with an integrated Lightning connector. 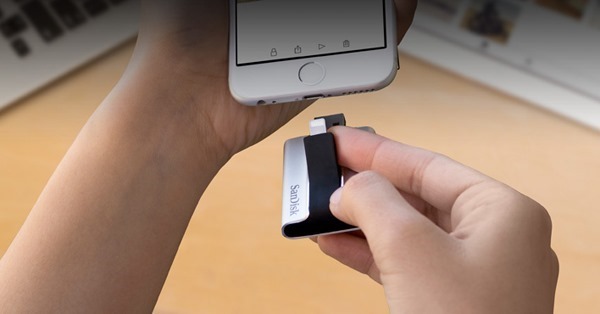 The first from SanDisk however, the USB connects to your iPhone via the integrated Lightning connector and you’re good to browse through files on your iOS device. Where cloud storage is the norm these days, data limits, bandwidth and battery limitations, and basically just a whole lot of other stuff still keep a lot of users inclined towards storing files locally on their computers or removable disks. The SanDisk iXpand lets you do all of this, without needing the cable with the proprietary Lightning connector or any computer. iXpand will simply plug into your iPhone and coupled with the companion app from SanDisk, you will be able to browse through existing files in the USB drive, with the ability to copy files to and from the USB storage. The companion app launches instantly once iXpand is connected to your iOS device, and you can set it up to automatically sync photos and videos from the camera roll to the drive. Even better, iXpand lets you play movies directly from the storage on your iOS device in formats other than the native ones. Pretty handy if you have an iPad on you for travel purposes, with iXpand giving you more movie storing options without having to worry about converting formats. Unlike other USB flash drives in the competition for iPhones and iPads, iXpand offers a flexible connector cable which the user can simply just pop up to connect, without needing to remove the USB connector’s protective cap. iXpand has a total metal construction which should make it a rather durable and strong product. The device uses USB 2.0 technology with read speeds of up to 13MB/sec and write speeds of up to 14MB/sec. SanDisk iXpand is available on the SanDisk online store and comes in with storage capacities of 16GB, 32GB, and 64GB, with a starting price of $59.99. If you’re looking for external storage for your iOS device without breaking your bank, then this just might be it. Furthermore, the iXpand is a great accessory to own, considering that you can’t expand the internal memory of your iPhone. i digg that it has its own battery. Can you use with ifile or filza via jailbroken device? ?